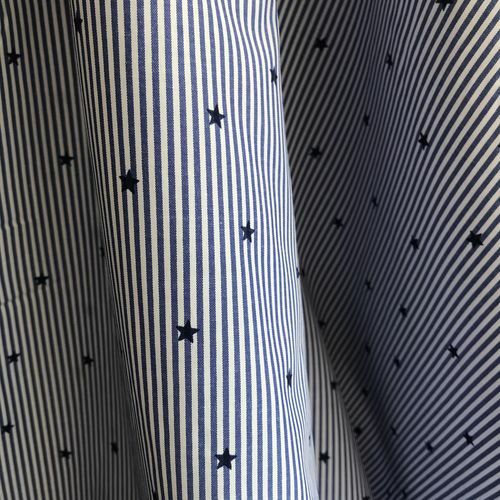 Introducing Lady McElroy Star Oxford Stripe Cotton Polyester Mix! 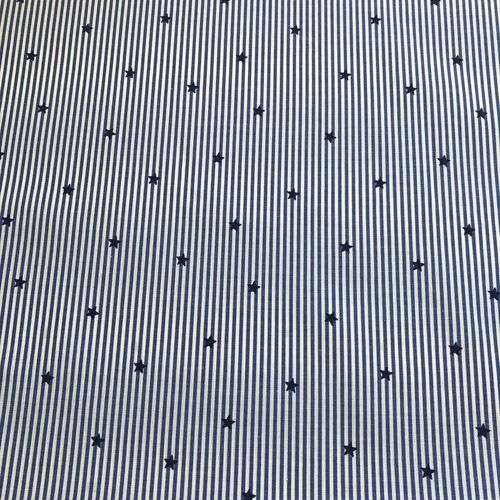 Blue and White Striped fabric with a Star print. 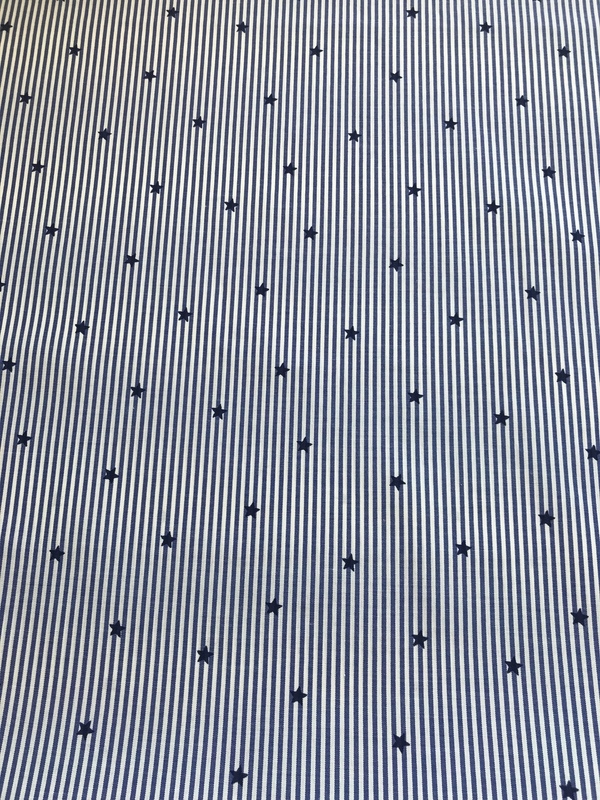 This fabric is a perfect summery fabric. Perfect for your holiday suitcase! 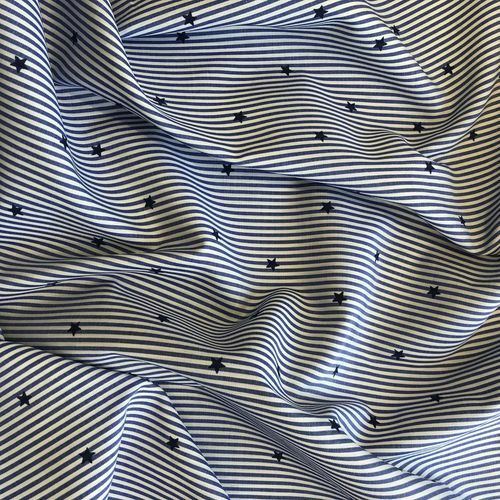 Remember to always wash your fabric before sewing as shrinkage may occur when the fabric is first washed. 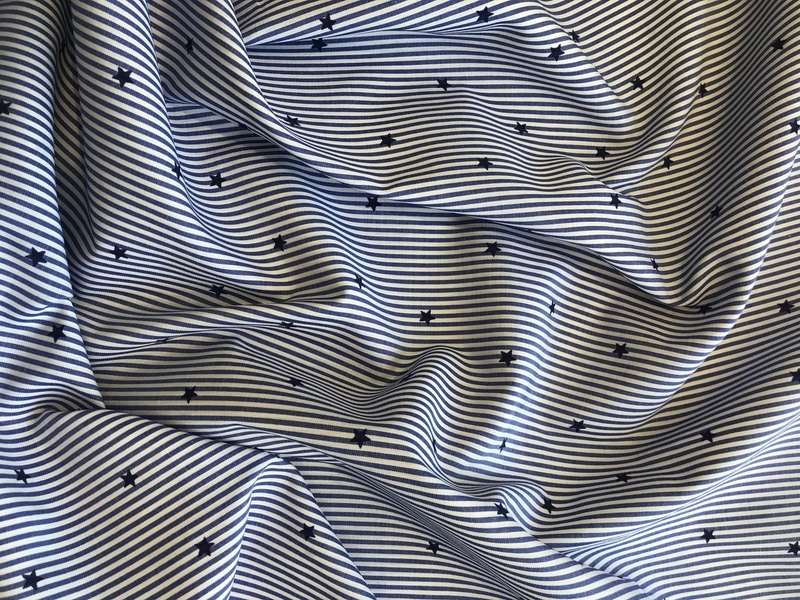 Always ensure you carry on washing your garments at the same temperature you initially laundered the fabric on too! 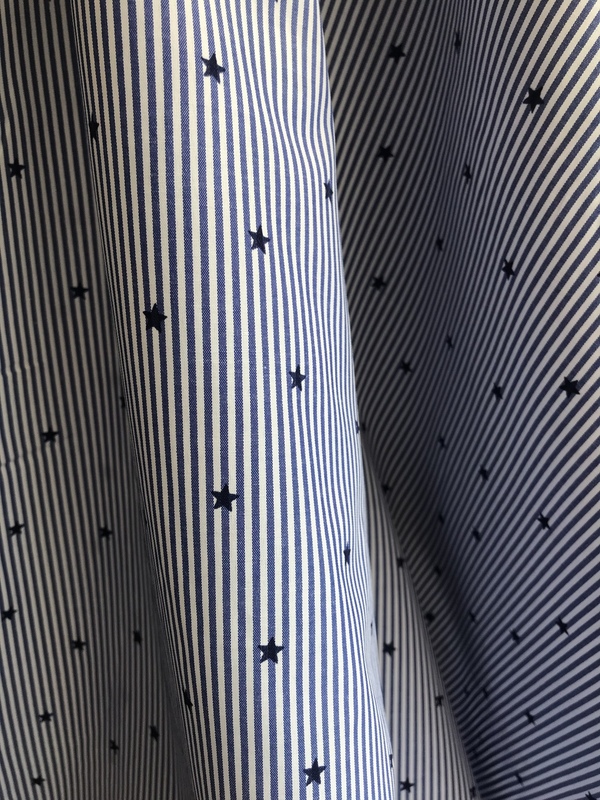 Wash at 30 degrees C.
We aim to ensure we provide full and accurate descriptions and photographs of all our products, however colours may vary on different monitors. It is therefore not recommended to rely on the website images to colour match. 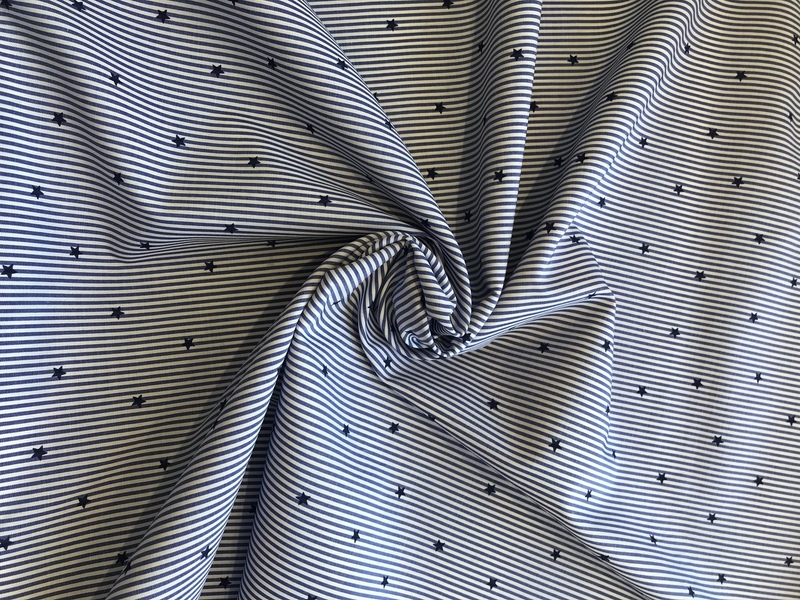 Please take advantage of our Fabric Swatch Service if you are unsure. 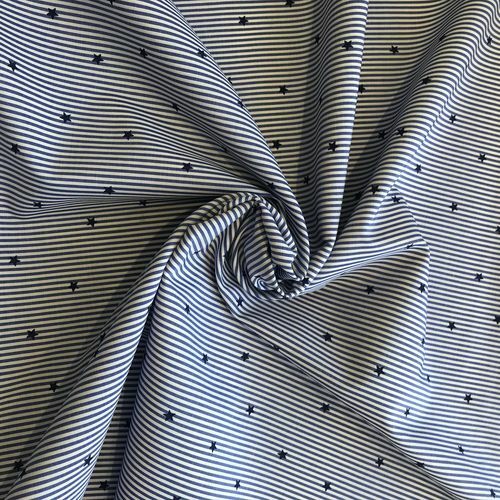 Please however be aware that when purchasing fabric, it may vary slightly in colour from one batch to another.